August 19, 2010 - Leading international experts from airlines, aviation regulatory agencies and navigation service providers will share cutting-edge knowledge and experiences at the fourth annual Global PBN Summit in Seattle, Oct. 19-20, presented by Naverus, part of GE Aviation. CANSO Director General Graham Lake, ICAO’s Air Navigation Bureau Director Nancy Graham, FAA Chief Operating Officer Hank Krakowski and Airservices Australia Chief Financial Officer Andrew Clark are just a few of the prominent aviation leaders scheduled to speak at this year’s Summit. Now in its fourth year, the Summit has become the world’s most respected forum for the advancement of global PBN technologies that reduce fuel-burn and emissions while paving the way for airspace modernization and optimization. “Exploring PBN Frontiers What’s Next” will showcase advanced PBN capabilities being implemented by leading-edge organizations. PBN operator-practitioners such as WestJet, Southwest Airlines, Emirates, Air New Zealand, Alaska Airlines and Qantas will share practical experience. Community and social aspects of airspace transformation will be addressed by leading aviation economists, representatives of Airport Councils International and respected aviation consultants. 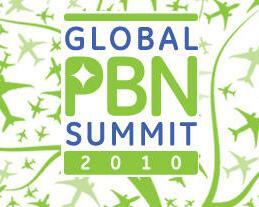 The 2010 Global PBN Summit will be held October 19-20 at the Bell Harbor International Conference Center on the Seattle waterfront. Early bird registration rates of $325 are currently available for airlines, ANSPs, regulatory, government and aviation trade personnel and are $450 for all others. Naverus, part of GE Aviation Systems, is a global leader in the development and implementation of Performance-based Navigation and is working with aircraft operators and air traffic management providers in China, South and Central America, the United States, Australia, New Zealand, Canada and Europe to implement PBN solutions.